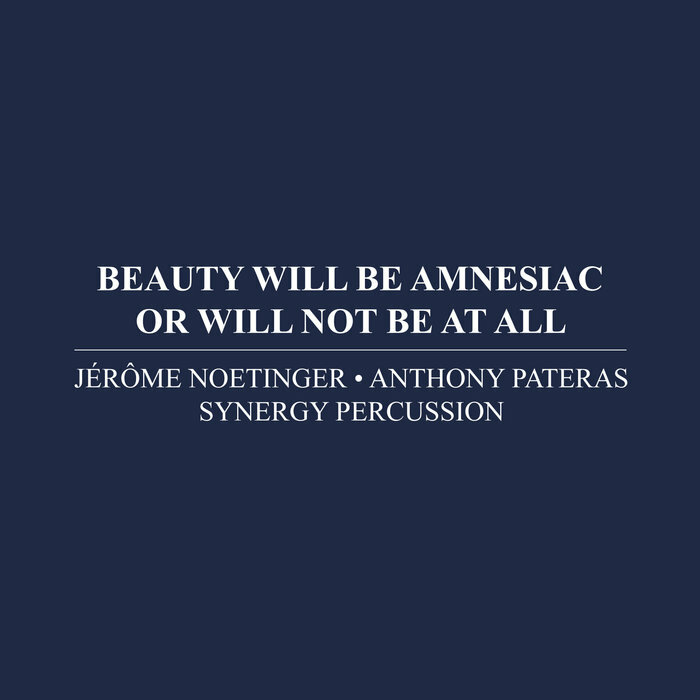 On Beauty Will be Amnesiac Or Will Not Be At All, composer/pianist Anthony Pateras and composer/sound artist Jérôme Noetinger join forces to create an hourlong work for Synergy Percussion and improvised electronics. Its conceit is a clever one: the piece is of similar scope to Iannis Xenakis’ work Pleïades and utilizes a similarly gargantuan battery of percussion instruments, over 100, notably Xenakis’ 17-pitch microtonal metallophones, the Sixxen. These are used to particularly fine effect in the accumulating washes of sound in the piece’s first movement. Pateras’s notated music and Noetinger’s electronics blend well together, with an emphasis on merging their respective sonic terrains rather than juxtaposing them. Along with many textural diversions, the percussion combines pulse-driven mixed meter passages with polymetric sections of considerable complexity. 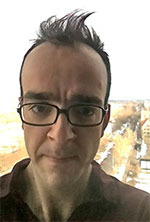 Noetinger finds his way inside this space admirably, teasing out contrasting rhythmic figures of his own and adding layered textures with refreshing subtlety. That said, his electronics cadenza in movement four is a standout. Haloed in a soft-mallet gong roll, he employs static to mirror the hypercomplex rhythms found in the previous movement’s percussion parts. Added to this is a duet of sustained high pitches, whose call and response fleshes out the frequency spectrum. Drum rolls return, piano this time, to reassert the place of unpitched percussion in the proceedings.Synergy performs with dedication to the subtlest details of Pateras’s score and with responsive attention to Noetinger’s contributions as well. Thus, the recording is a truly successful amalgam of notated and spontaneous music-making.